In case you haven’t heard, we’re in a solid seller’s market. 1. You wanted this house, and others did, too. Each seller has the right to accept a backup contract on the property. Your contract is priority, but the backup contract can sit ‘in waiting’ until you close. 3. Do your inspections and ask for the repairs that concern you the most. This is NOT the kind of market where you can nit-pick every item on the inspection. Know why? The inspection renegotiation opens the contract up. Which means, you could ask for a ton of items to be repaired, the seller could refuse, and you could easily lose the house. The seller may be less likely to bend over backwards for your requests these days; especially if they have another contract waiting in the wings. 4. Personalize your offer. This is popular with some and not with others. If you are buying a home from an actual seller (not a bank), then you have a chance to use this. Write a letter or record a video letting the seller know what you like about their home, why they should consider your offer over others, and, if applicable, why you’re offering a certain price. Some sellers really care about the people that will be living in their home. A little personalization can go a long way. 5. In every conversation, remind yourself why you decided on this particular property. If it’s important to you, keep in mind you could be dealing with a pissed off seller. It could even be a seller with an offer better than yours waiting for you to drop. Are those broken blinds really worth losing your dream home? You know me, when someone says they need volunteers, I’m one of the first to jump. 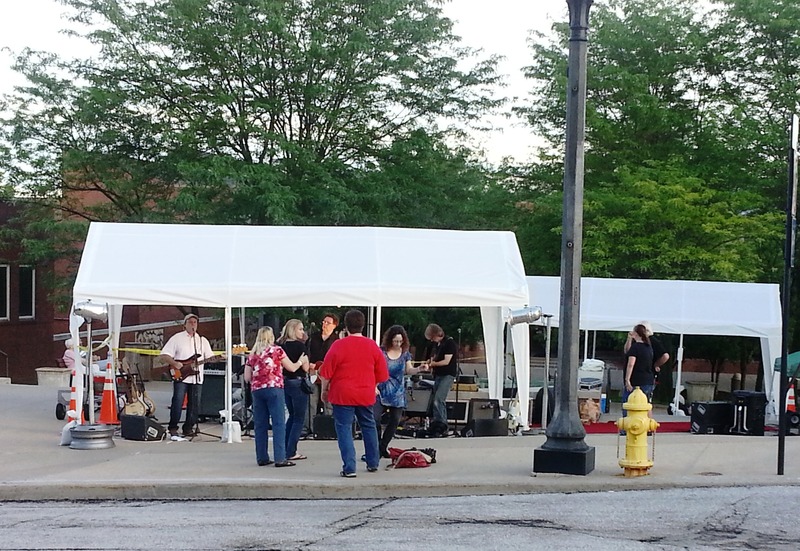 Friday night, our office had the opportunity to volunteer with Historic Downtown Liberty, Inc. for an evening of fun on the square—Liberty Arts Squared. In it’s third year, this festival was hoping to attract more than 18,000 visitors. 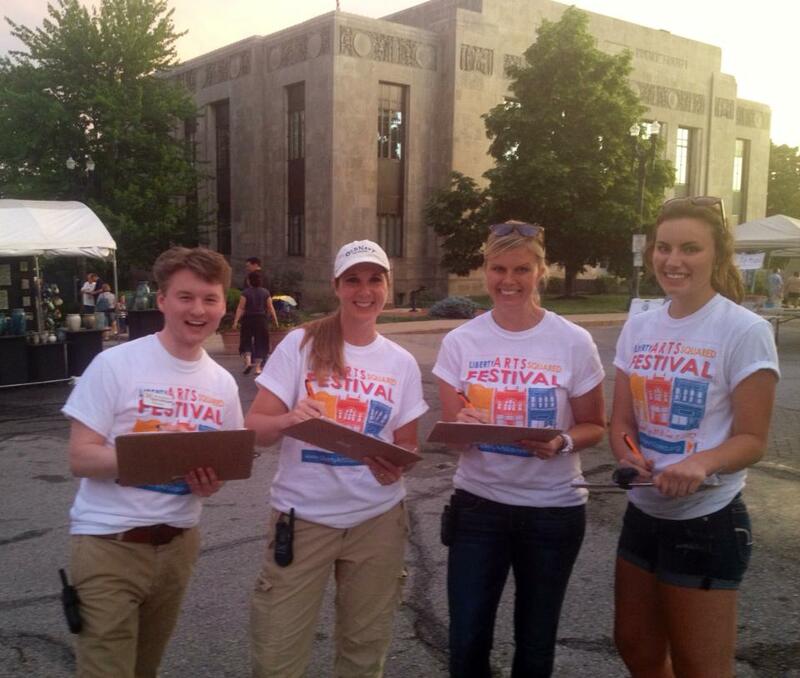 My job was to hang out (on the corner) and count fresh faces coming into the festival. This really gave me the best opportunity to interact with the crowd and friends as they walked in. Plus, I was on the corner with the band, The Crayons–BONUS! I also had the opportunity to walk through approximately 50 vendor booths and interact with the artists. 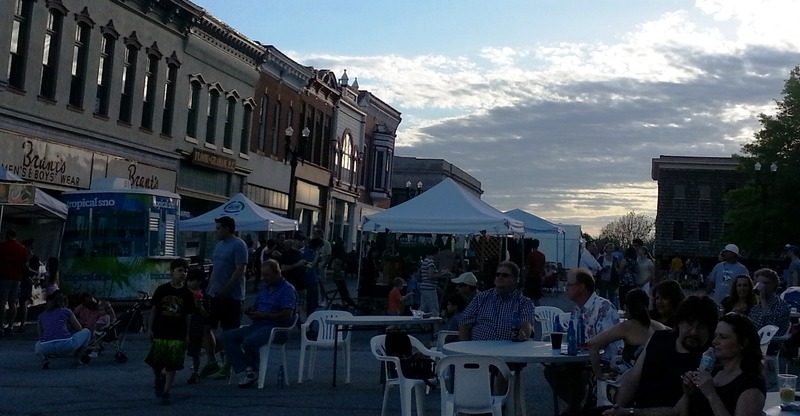 There was so much talent on the square this weekend! Vendor booths included paintings, drawings, jewelry, pottery, glass work and so much more. Shhh…I also enjoyed a cool glass of wine from Cork & Brew, a restaurant on the square, while I was taking in the sights. As of today, I’m not sure what the final count was for the weekend, but I was really pleased with the crowd since this festival is still in it’s infancy. I’m hoping our consumer survey during the event will enhance their targeted marketing efforts next year and this festival will continue to grow!